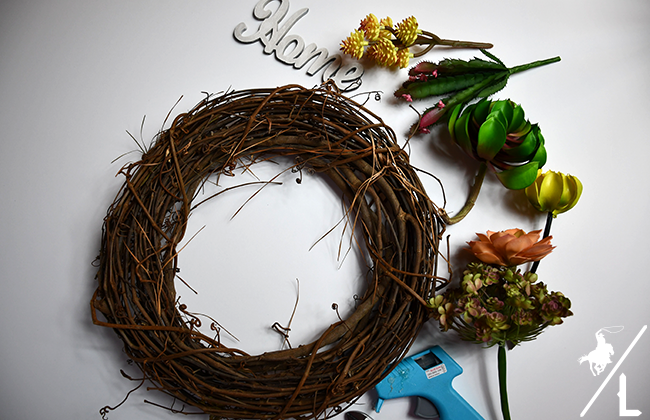 Create a simple, but beautiful DIY succulent wreath this Spring! Spring is almost here! A few days of warm weather and sunshine has been sprinkled in with the dreary, rainy days. But those few sunny glimpses of Spring has me running to the craft store. My winter decor is packed away and I’m starting to add bright and spring touches around the house. First order of business was to change my front door wreath. I am obsessed with succulents – maybe because it’s the one type of plant I can actually manage to keep alive. Anyways, so I decided to create a fun and easy succulent wreath. This wreath took about 10 minutes to make and I love how it turned out. 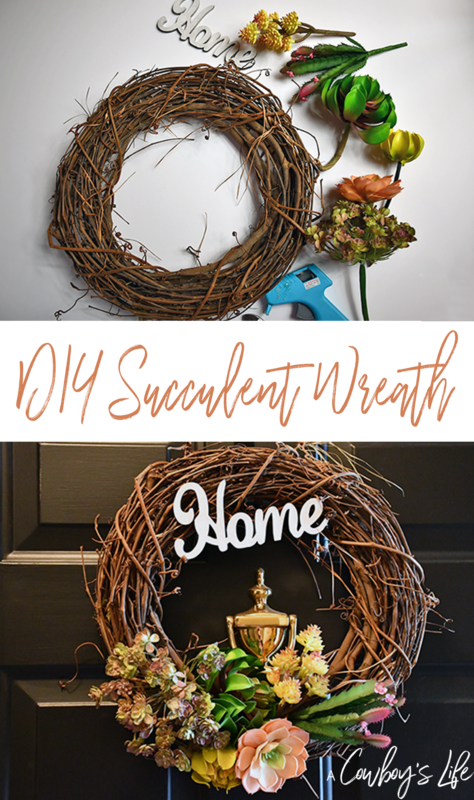 All you need is a wreath, succulents, hot glue gun and cute wooden sign with whatever word you want. 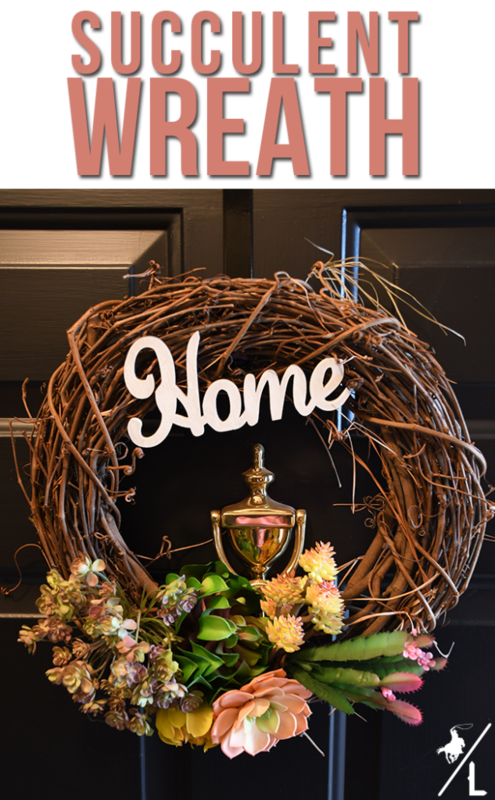 I bought the supplies at Michael’s and everything was on sale – so the wreath cost under $10 to make. Score! I simply arranged the succulents how I wanted on the wreath and hot glued them. Then glued on the wooden sign and it was complete. Once glue had set, I was able to hang it on the front door. So simple & easy. 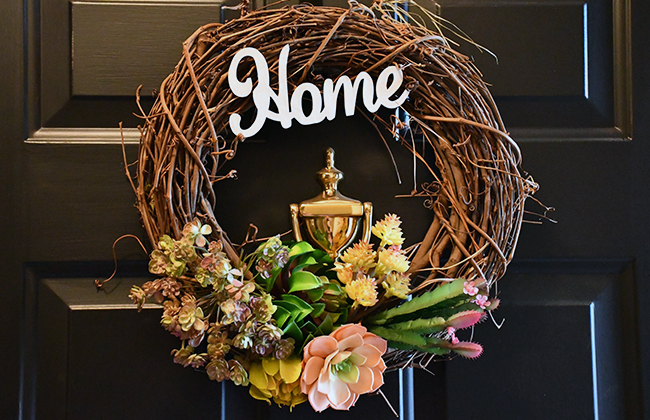 I like how this wreath can work for Spring or even through Summer. Which is nice, because once my son gets out of school, I’m sure we will be busy spending our days by the pool with little time for craft projects. Are you starting to decorate your house for Spring?